Home Unlabelled Was Tipu Sultan a murderer of Hindus? 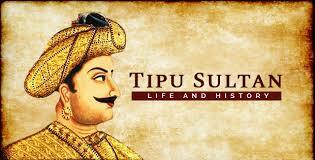 Was Tipu Sultan a murderer of Hindus? (i) "Your Excellency You may have been informed that the purpose of my great desire is Jihad (Religion war). Allah preserves this device as 'Noa's Ark' and keeps cutting the extended sides of the infidels 'abandoned'. Read a rocked article written by Tipu himself in the fort of Sri Rangapatnam - the words of the inscription are as follows: "O Allah Almighty! End the entire community of infidels (non-Muslims). Scatter all their race, make their legs shaky, make two unstable! And turn around their brains! Bring death to them, eliminate the means of nurturing them. Reduce the days of their lives. Their bodies always remain subject to their concern, take away the eyesight of their eyes, make their faces black, destroy their organ of speech! Just kill them like Shidod, like the Faroha, and immerse them too, and anger them very much. O Lord of the world give me your help. "